So, you have had a health, safety and fire risk assessment carried out and have received your report, you may be wondering what the next step is. It is vital that you read the report and look at all of the hazards and non-compliances; as these will likely need some kind of action in order to manage your report and ensure the safety of the building. It is important, at this stage, to note that a risk assessment is considered a formal legal document. One of the questions we often get asked is what are my specific legal obligations when managing my risk assessment? This article aims to give some clarity on this and offer advice on report management. Hazards are the Physical Risks identified at a property that have the potential to cause harm. These can include trip hazards, incorrectly stored items, and faulty lighting. A good way to differentiate these from non-compliances (in context of your report management), is that hazards are the physical issues that may require appointing a contractor in order to fix. Legal Non-Compliances refer to any process issues such as inspection regimes and routine tests; issues usually made evident by lack of sufficient documentation. Such documentation can either be uploaded to the client portal on the 4site website, or can be a hard copy at the site that can be accessed when needed. 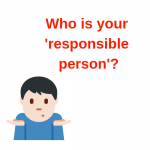 The Responsible Person can be an employer or somebody who has control of the premises; such as the owner. 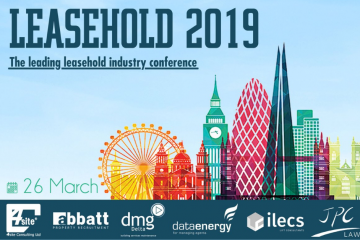 Concerning property, the appointed responsible person is usually the freeholder, however, it is often delegated to a property management company and subsequently, an individual property manager. The responsible person should begin to action the specified legal non-compliances and hazards accordingly in compliance with the law, So Far as is Reasonably Practicable. In order to do so, the responsible person will need to be competent and knowledgeable or have access to competent health, safety and fire advice. Your report begins with a description of the property that has been assessed, inclusive of any ‘additional details’ in which the assessor deemed necessary to bring to the attention of the responsible person. The beginning of the report also includes an ‘action summary’; which can be very useful for quickly marking off completed actions. However, it is important that you review the report in its entirety before attempting this, as this will help bring clarity to the points made. Once you have read through the report and have embarked upon the actions, you will need to demonstrate that you are managing the risks outlined. This should be done in order of priority. Risks should be addressed by the responsible person and, in most instances, budget and legal constraints can be taken into account when deciding on how to action; weighing up the costs against the risk. If an enforcement officer was to review the safety of your building and see a health, safety and fire risk assessment that was completed in the months beforehand, they would likely ask you how you have managed the hazards and legal non-compliances identified within it. At this point, you will need to be able to demonstrate that you have been taking some actions towards achieving compliance. 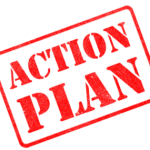 The Action Plan begins by highlighting the legal non-compliances stating the requirements, photo evidence (if necessary), the relevant legislation, observations, and the actions required. In order to effectively manage the report, each action will need to be implemented. For example, if the observation is that smoke detectors have not been tested and maintained, the required action would be to ensure this is being done. To manage this, you will need to carry out the actions recommended (SFAIRP) and keep records of your findings. 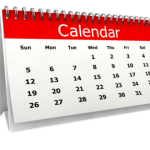 The report is formatted to allow you to complete each action by filling out the date, what actions were taken and by whom. This is most effectively done on the 4site client portal but can also easily be noted within your printed copy of the report. Property through its ongoing use, is ever changing, some more subtly than others. 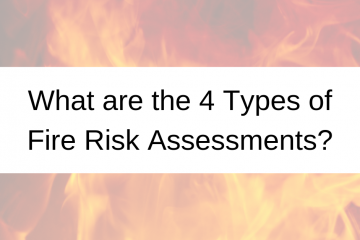 Therefore, risk assessments are legally required to be regularly reviewed. Unless there are other mitigating circumstances, the frequency of review is dependent on the risk identified at the property at the last assessment; including the severity and likelihood of hazards observed. If a property is considered high risk it may need to be reviewed again in a year or sooner. If the property is lower risk then three- or maybe four-years would suffice. It is important to note that there is no prescriptive frequency for risk assessment reviews, it is purely based upon the assessor’s findings and level of risk at the property when carrying out the assessment. Each report offers a recommended fire strategy which will either be ‘stay put’ or ‘evacuate’. This is based on the assessor’s findings when carrying out the risk assessment and relies on supporting evidence. The penultimate page of the report, is the ‘Emergency Procedures’; a guidance for residents explaining what to do if a fire breaks out in their apartment. 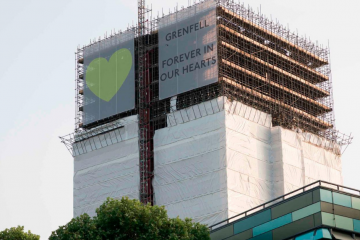 This is a list of what residents should and should not do, including: inform others present, do not attempt to tackle the fire, and do not use any lifts. The emergency procedures also outline what people should do in the event they are cut off by the fire. This will have provided a guide on how our health, safety and fire reports are structured and how they should be managed. Some advice to take away from this is to dedicate a responsible person to managing a property’s health and safety risk assessments, ensuring that all actions are clearly recorded. It is vital that the responsible person is proactive in their role; taking into account the level of risk, costs and time frame to ensure the duty of reducing risks So Far as is Reasonably Practicable. For further advice, please contact our Client Services Team who will be happy to help. If you require guidance on managing your Legionella or Asbestos reports, we are happy to assist with this too!